Virginia's long-running epic metallers WHILE HEAVEN WEPT will commemorate their 25th year with the October 27 release of their sixth full-length album, "Suspended At Aphelion", via Nuclear Blast. 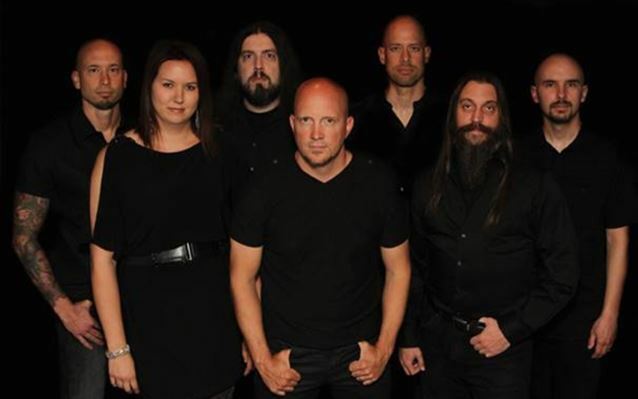 "Suspended At Aphelion" is undoubtedly the band's most ambitious, epic, and progressive album so far, featuring a single track divided into 11 parts, performed by the entire "Fear Of Infinity" lineup as well as several esteemed guests, including FATES WARNING alumni drummer Mark Zonder and co-founding guitarist Victor Arduini — uniting two eras of FATES WARNING for the first time ever. WHILE HEAVEN WEPT mainman Tom Phillips offered more insight into the album: "While most of our albums have been thematic, this is the first time we've released something entirely of a conceptual nature in the grand tradition of PINK FLOYD, GENESIS, RUSH, MARILLION, IRON MAIDEN, KING DIAMOND, QUEENSRŸCHE, and, of course, FATES WARNING...and musically, this album falls somewhere in the middle of all of that with a touch of Viking-era BATHORY as well." 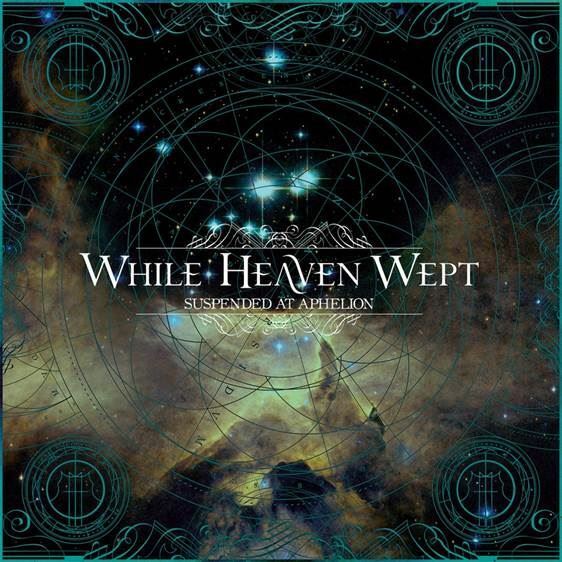 The signature sound of WHILE HEAVEN WEPT remains fully intact, yet has evolved; Phillips explains: "We've always been characterized by emotional sincerity, bombast, sweeping melodies, and dense orchestration, and 'Suspended At Aphelion' is no exception — however, this really is another level for us in that it's the first album featuring all-new material composed in this decade (as opposed to previous releases which often culled from years of archival material), it's full of twists, turns, modulations, time changes, harmonic content rarely heard in metal, and tons of counterpoint. This is all augmented by actual cellos, violins, classical guitars, an array of percussion, and genuine analog synths." He continues: "Over the last few years, we've had some audiophiles reaching out to us regarding the 'loudness wars,' so we were very much committed to delivering an album with a wide dynamic range, with very little peak reduction or compression...insuring it was as dynamic and organic as possible versus being Pro Tooled to death or overtly compressed/limited for loudness... not unlike our labelmates SATYRICON, who definitely impacted our approach to 'Suspended At Aphelion'...so you may have to turn it up compared to 'X album' from 2014, but we feel like this epic journey is even more gratifying because of this." The cover art for "Suspended At Aphelion" was once again created by Gustavo Sazes (MORBID ANGEL, ARCH ENEMY), and three separate audio masters were optimized for LP, CD, and digital download formats. WHILE HEAVEN WEPT also reunited with producer/engineer Kevin "131" Gutierrez (RAVEN, DECEASED, DYSRHYTHMIA) at Assembly Line Studios for the recording of "Suspended At Aphelion" 12 years after creating their classic "Of Empires Forlorn" album together, solidifying an already strong team for their most epic of epics!